Calling all artists and inspired community members!! Make your mark on Minnehaha Avenue as part of the new streetscape design. 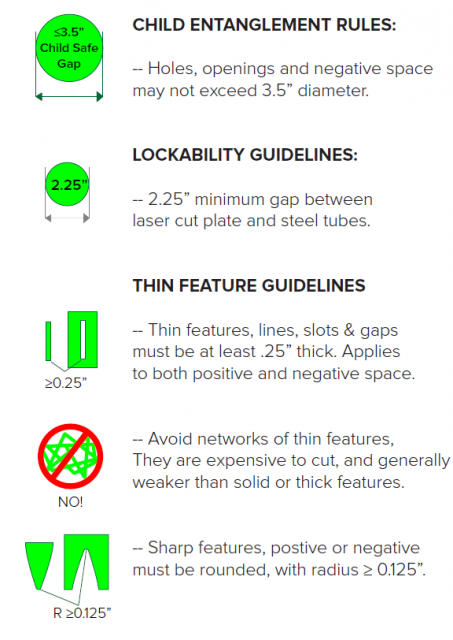 Longfellow Community Council, in partnership with Hennepin County, is seeking a logo design for approximately 130 new stainless steel hoop bike racks that will be installed on Minnehaha Avenue between Lake Street and 46th Street. The design will be laser cut into a 10.125” diameter circular metal plate. Minnehaha Avenue is home to over 140 businesses and 740 residential dwellings. This popular thoroughfare is characterized by its thick tree canopy, multi-family apartment complexes and an eclectic mix of businesses. Hennepin County, in partnership with the City of Minneapolis, is reconstructing Minnehaha Avenue from East 46th Street to Lake Street during the 2015 and 2016 construction seasons to address the deteriorating pavement, utility and drainage concerns, non-motorized accommodations and storm water quality conditions. The reconstructed road will be safer, more livable, and welcoming to all users, featuring improved pedestrian facilities (shortened crossings at intersections, improving bus stops and ramp curbs to make them fully accessible) and enhanced dedicated bicycle lanes. The purpose of the artist designed bike racks is to add character to the community, create a sense of place that reflects the neighborhood and the values of its residents, and celebrate the improvements in walkability and bikability in the corridor. See examples of other bike rack styles with laser cut designs here: https://www.dero.com/product/logo-bike-racks/. Note that the bike rack styles pictured here are not the hoop rack style with center plate that we will be using, which is pictured above. A panel comprised of members from the Minnehaha Streetscape and Public Art committee will select a winning design and notify the artist by email by Friday, August 21. We will also publicize the winner and winning design via our website. 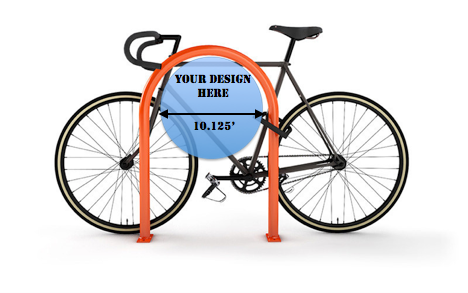 The bike racks with the custom design will be installed in phases between September 2015 and April 2017. $500 shall be awarded in consideration for granting Hennepin County and Longfellow Community Council the right to use the winning design for the Hoop Bike Rack and to use depictions or two-dimensional reproductions of the design in all formats, including in electronic formats for non-commercial purposes. Please contact Joe Sturm at the Longfellow Community Council with any questions.